The time has come again for me to take my annual summer break. I look forward to this break each year because I am able to devote more of my work time toward writing projects. I also come back refreshed and renewed in September for another great season on The Daily Connoisseur. Before, I go on my break, however, I wanted to have a chat with you about various things that have been happening this summer. When I return from my break, I will have at least two major life updates for you (maybe more)! Today, I'm sharing an amazing story about what happened when I got a flat tire, some ten-item wardrobe observations for summer, an album that I have been loving, what I've been watching, the trouble with being a minimalist and so much more! Intrigued? I hope you watch today's video! My favorite summer album has been Bach for Breakfast, as recommended in At Home with Madame Chic. My favorite song on the album is the Sinfonia from Christmas Oratorio. So good! Congratulations to my YouTube friend, Kathryn Morgan. I love both of her YouTube channels, Kathryn Morgan and Forever Youngs. I also discuss two recent articles on the casual nature of our everyday clothing: Verily Magazine's piece Why I No Longer Wear Leggings In Public, and Tom Ford's interview on leisure wear. My TEDx talk on the Ten-Item Wardrobe has received over 1 MILLION views. Thank you to all of the Daily Connoisseurs who helped to make this happen! Lynn T. writes: I have had your first two books for about a year now and just started reading them this weekend at leisure. I always listen to your YouTube videos and thought what could I be missing? Well, it appears a lot! Your books are little treasures. I just ordered your third book today. I am 56 years young but you have definitely taught this old dame some new tricks ❤️ I recommend these books to women young and old. Dear Lynn, thank you for your great compliment about the Madame Chic books. I really do appreciate your support! Even though I will be taking a break from the blog, I will occasionally post on social media. You can follow me on Facebook, Twitter and Instagram to stay au courant with all things Daily Connoisseur. Today, I would love to know your thoughts on any or all of the subject I discussed in today's video. If you have any requests for the upcoming season, please leave them down below. When I return, I am very excited to share my life updates with you! I'm taking you along with me for my book signing at Chevalier's in Larchmont for my new release, A Paris All Your Own. 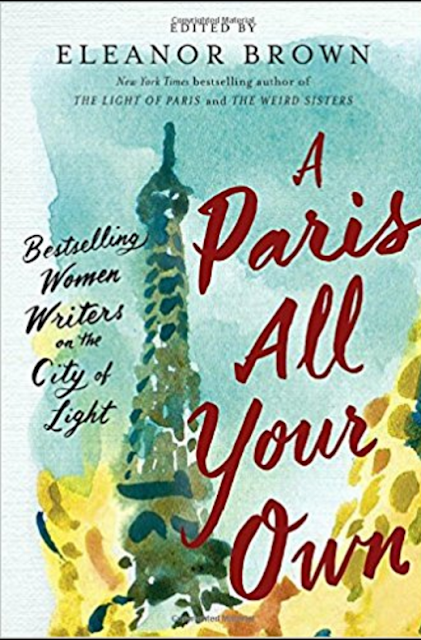 This is an anthology from bestselling women writers on our beloved city of light. I was honored to share the Madame Chic perspective in my contribution called, The Passion of Routine. I was joined with Eleanor Brown (who also edited the book) and Maggie Shipstead at Chevalier's bookstore in Larchmont, California. We had a book signing, Q&A and lively discussion with the crowd. Thank you to everyone who came out to meet us! Eleanor Brown is the author of The Weird Sisters and The Light of Paris. Maggie Shipstead is the author of Seating Arrangements and Astonish Me. In today's video I take you along with me, but before we leave, it's time to wear my le no makeup look. I hope you enjoy today's video. Hi Jaquetta, I was amazed that so many women resonated with Monday's post on swimwear. It seems that the demand for more modest swimwear is very high and as one of the most "liked" comments on the YouTube page, you show the way the pendulum is swinging. Thank you for joining me for today's video, I will see you on Monday for my final video of the summer before I go on my break. See you then! Many people have requested a swimwear video. What do I wear to the pool or the beach? Today, I'm showing you what I like to wear. You might be surprised! I prefer to wear bathing suits that provide more coverage. Many times we think the only option is the two-piece bikini, or the one-piece suit. I am not saying there is anything wrong with those choices, but at this time in my life they are not working for me. I like to cover up more when swimming for many reasons. One of the great benefits of this is you protect your skin from the sun. I haven't always worn modest swimwear. I had a bit of a light-bulb moment at the Legoland water park (lightbulb moments can truly happen anywhere!) that helped me make my decision and, you know what? I have never looked back. All of my swimsuits here are over two years old, so I do not have direct links. But all of these swimsuits were purchased from Land's End. They have a great selection of rash guards, swim skirts and shorts. 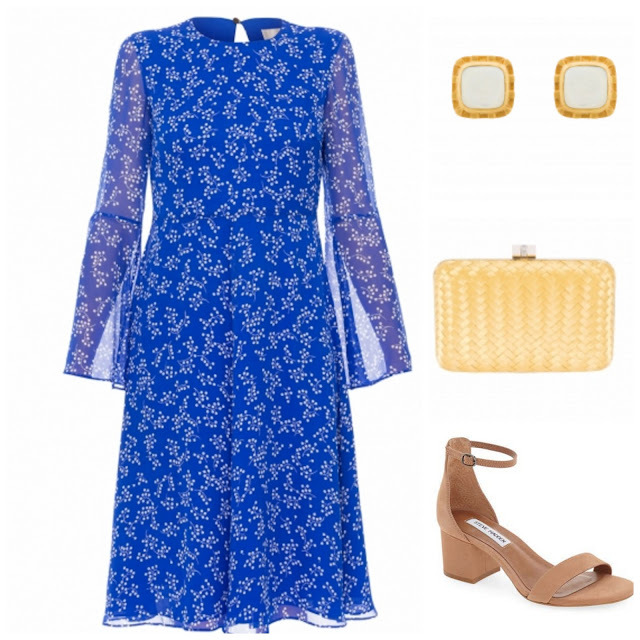 Last Friday, I partnered with Halsbrook.com to bring you 6 Chic Summer Looks. Which one is your favorite? Spring.St discusses At Home With Madame Chic in her article, 8 Simple Ways to Make Your Own Home Your Personal Chateau. Thank you to everyone who came to my book signing on Saturday at Chevalier's Books! I had such a great time meeting the Madame Chic fans. Here is an image of Eleanor Brown, Maggie Shipstead and me at the event. Be sure to stop by on Thursday to see a day in the life of this fun day! Hi Keriannak, thank you for your compliments. Many people do not know how much time goes into blogging and making videos. It takes much effort and time and it's nice to feel appreciated! Thank you to you and to everyone who supports The Daily Connoisseur. Today, I would love to know... what do you wear for swimwear? What are your thoughts on modern swimwear? Let me know, and your comment could be chosen as comment of the week on the blog. See you on Thursday for a Day in the Life video! 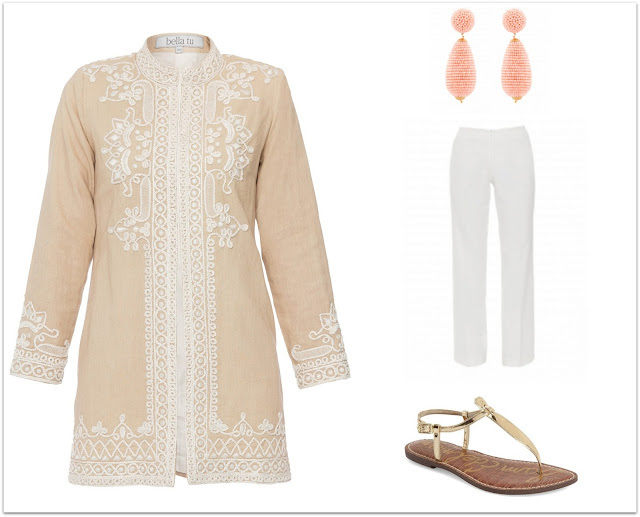 I am pleased to partner again with Halsbrook.com to bring you 6 chic summertime looks. In my last post from Halsbrook, I shared 7 ways to style a neutral dress. So many readers enjoyed the collages and were able to garner inspiration from them, today I'm sharing more collages, perfect for the summer season. Museum Day: This chic look is polished, yet casual. Perfect for escaping the heat and perusing the artwork at your favorite museum. Midsummer Night: This beautiful floral dress is embellished with tassel earrings and neutral accessories. 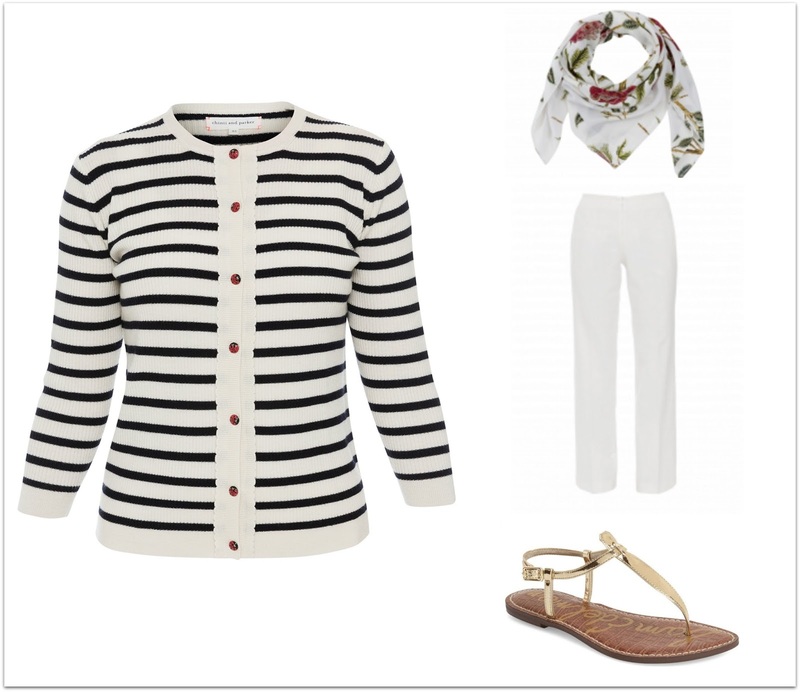 Nautical Twist: A fun take on the nautical look with an unexpected floral scarf. Embroidered Elegance: a beautiful embroidered coat lends sophistication to this summertime look. 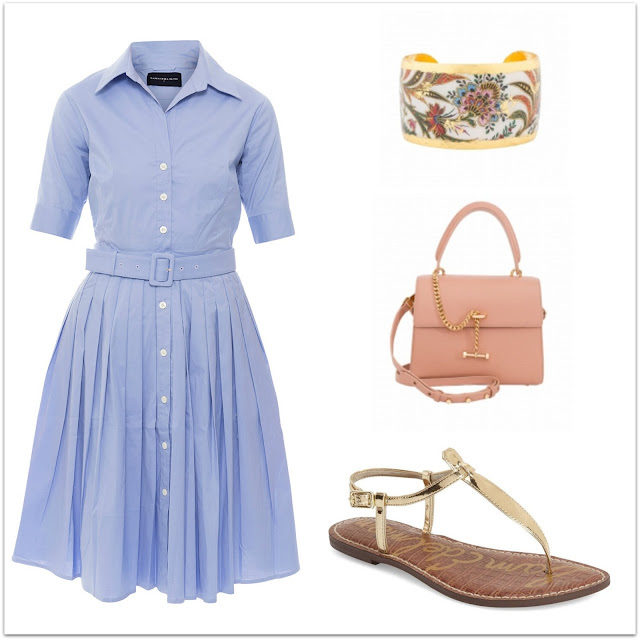 Garden Party: An elegant floral dress, paired with neutral shoes, simple bag and jewelry is a ladylike vision. Sophisticated Summer: Polished, pretty and feminine, this black and pink look is classic and chic. 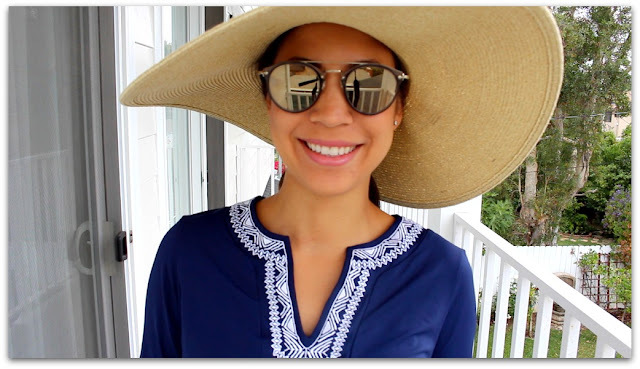 Today, I would love to know... which is your favorite summertime look from this post? Have a wonderful weekend! I'll see you tomorrow for my book signing at Chevalier's! FTC: This is a sponsored post from Halsbrook.com. All opinions are my own. Links may be affiliate. 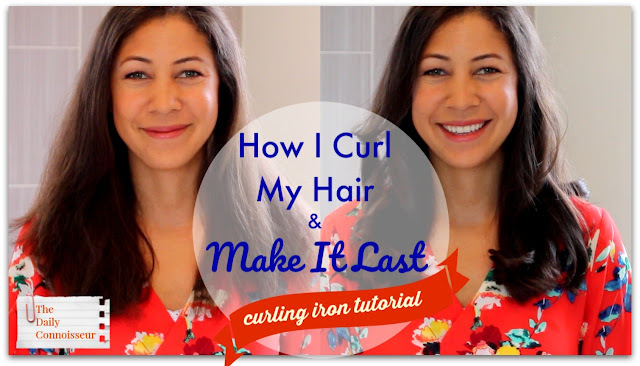 Last week's shop with me post brought many requests to share my curling iron routine. Many years ago, a stylist told me the secret to extend the curls in your hair: spray with hairspray both before and after curling. I hope you enjoy today's video to know my routine. Featured in this video is the Kenra Volume Spray, Hot Tools Professional ceramic curling, Croc Hybrid ceramic flat iron and the Mason Pearson hairbrush. I put a special video out last Saturday sharing my book news in Japan. If you're not already subscribed to my YouTube channel, be sure to do so to never miss a video! I will be joining fellow New York Times bestselling authors, Eleanor Brown and Maggie Shipstead this Saturday, July 15th, 5pm at Chevalier's Bookstore in Los Angeles for a book signing, Q&A and discussion. I hope to see you there! PLEASE NOTE: I will only be appearing in Los Angeles, not any of the other locations (San Diego or San Francisco). Some readers have written to me asking about the other locations. You have beautiful hair! Love your books and channel. I'm a hairdresser and my hair is very similar to yours. I also use that same curling iron except mine is the metal one. You mentioned using the flat iron to smooth the frizzies and I thought I would share how I finish my hair. I curl my hair, spraying each section with Kenra Hot Spray or Paul Mitchell Hot Off The Press before curling. These are heat protectants and help hold the curl. After letting them cool a little, I brush out the curl with a paddle brush. Then I use a little polishing cream like Bumble and bumble Brilliantine or even some coconut oil rubbed together in my hands and just run my hands down the length of my hair and the curls bounce up and it looks really polished and chic. I use a little lightweight hairspray and it holds all day, even in the Georgia humidity. I finish most all my client's with a little polishing cream whether it's a smooth blow out or curls. Just be careful not to use too much or it can look greasy. Thanks so much for your wonderful, informative videos!! Hi Jennifer, thank you for sharing your recommendations. What a treat to hear from a professional stylist! I look forward to checking out many of your suggestions as I have been looking for a heat protectant hair spray. Thank you! See you on Monday for a swimwear post! Have a wonderful weekend. Part 3 of the Mapp and Lucia Book Club continues today. I'm sharing your comments and answering your questions. What part of polite society from Mapp & Lucia's day would I like to bring back? Who would I want to have lunch with? What happens when someone steps out of their social "rank"? This and so much more is discussed in today's video. These comments were chosen from my post a few weeks ago, calling on your questions. Since the book clubs have aired, I have also received many insightful comments. Be sure to check out the comment section on both the blog and YouTube channel. And while I was not able to get to everyone's comments in today's video, I do want to thank everyone for participating in the book club! We will continue the book club by reading the next two books in the series: Lucia in London and (my favorite!) Mapp and Lucia. We will most likely discuss these books in mid-fall, so you have plenty of time to read or listen to them. *In today's video, I'm drinking coffee out of my favorite Emma Bridgewater Union Jack mug. Lizzbert shares her ten-item wardrobe for summer. Designer, Aaron B. Duke, takes inspiration from my TEDx talk and applies it to interior design in his article on Lessons from Madame Chic. An Organized Life recommends my YouTube video on Inappropriate Content in Cartoons in her blogpost. Hello Ann, I loved your observations of Miss Mapp and her comrades! I observed the gentlemanly behavior as well. It made Major Benjy very endearing! You know I like to use my appliances until they pretty much collapse, and that is what happened with my curling iron. One day, when I went to use it, I noticed something had gone horribly wrong! My flat iron was broken as well, so I take you along with me as I go shopping for new ones. I planned on going to Sephora, but had a last minute change and visited a local beauty supply. The people at Lisa's Beauty Supply in West Los Angeles were so helpful! I love going to these smaller stores and getting their personal and expert advice. Neither item was inexpensive, but as I use my hair tools for many years, (I think my curling iron was over ten years old!) I like to buy quality. I purchased the Hot Tools professional ceramic curling iron 1 1/4 inch - the ions increase shine and moisture and reduce damage and static. And the Croc Hybrid 1 inch ceramic flat iron Please note: the link provided is to the 1 1/2 inch, whereas I have the 1 inch. I was unable to find the 1 inch online, but as you can see, this one has excellent reviews. If you would like to see a complete tutorial on how I use my curling iron, please let me know! I hope you enjoy shopping with me in today's video. I will be joining fellow New York Times bestselling authors, Eleanor Brown and Maggie Shipstead on Saturday, July 15th, 5pm at Chevalier's Bookstore in Los Angeles for a book signing, Q&A and discussion. I hope to see you there! 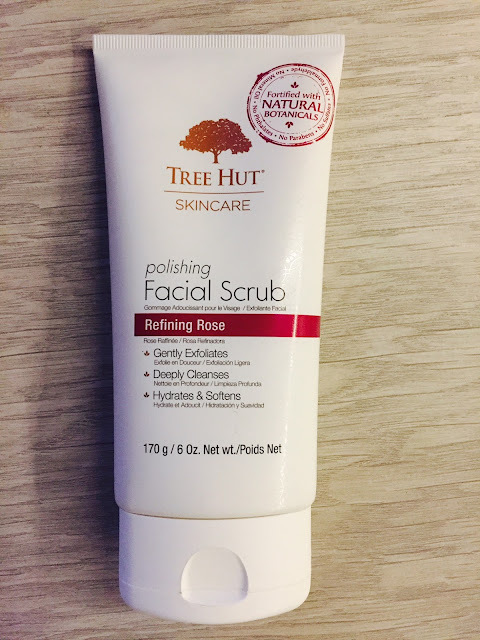 I wanted to share this great drugstore find, Tree Hut Polishing Facial Scrub. Tree Hut sent me this cleanser to try, and I really like it. It also makes a nice exfoliant as there are tiny polishing beads in the cleanser. Since I am focusing on budget and drugstore beauty this season, this makes a great cleanser at just over $7. I have to say that Miss Mapp was my least favorite of the two novels, because of the character of Miss Mapp herself. True, both she and Lucia strive to be the first or the best in anything among their circle, but Mapp, in my opinion, is the worst of the two. She's a terrible snoop (pretending to mail a letter in the middle of the night just to see what the Major and the Captain are doing) that wouldn't hesitate stealing the original idea of a "friend" to make herself appear more fashionable (seeing Diva's chintz flowers float out the window and deciding she would make the dress first). Her food hoard shows her to be greedy and thinking only of herself, and her lie to cover it makes her even more unlikable to me. Her assumption that Isabel wanted to out-do Mapp's red currant fool recipe only supports Mapp's narcissism, and her jealousy of just about every female in Tilling (except perhaps of Irene) is absurd. I know I sound harsh in my view of Miss Mapp, but maybe that was Benson's goal? Since the two women are to meet in a later book, he's certainly setting up something fun and exciting for us. Maybe a Team Lucia/Team Mapp kind of rivalry? In the end, I did enjoy reading both books, and I look forward to the next one. I hope there's a book club for that one in the near future! Hi Edna, I loved to hear your take on both Miss Mapp and Lucia! You will love Monday's post, which discusses many reader comments. We will definitely continue with the Mapp and Lucia series by continuing the book club this upcoming fall. I hope you enjoyed today's video... Do you like to use a curling iron? What is your favorite brand? See you on Monday for part 3 of the Mapp and Lucia Book Club! Part two of our Mapp & Lucia book club continues today, with Miss Mapp by E.F. Benson. In today's video I explain why this is my favorite book of the two we have discussed and many of my observations comparing life in the 1920s to modern day. Today, I discuss several of my favorite episodes in the book, including the red currant fool debacle, the Diva dress mess, Major Benjy's duel and Susan Poppit's elaborate (and according to Miss Mapp, vulgar) bridge buffet. I hope you enjoy my observations in today's video. I look forward to discussing your comments in the next installment of the book club! 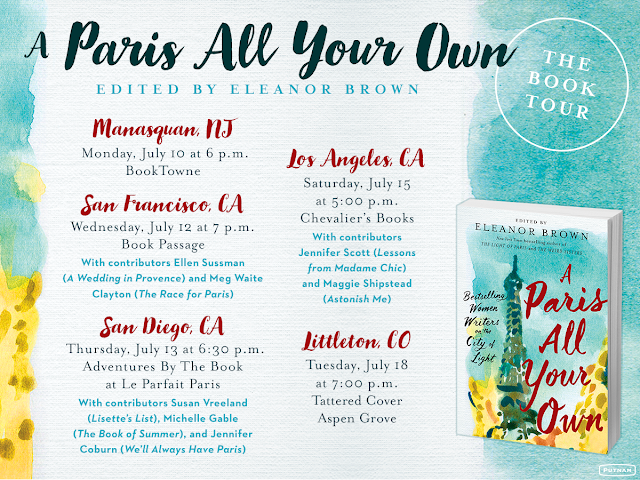 A PARIS ALL YOUR OWN: BESTSELLING WOMEN WRITERS ON THE CITY OF LIGHT comes out tomorrow, July 4th from Putnam Books! I feel honored to be included in this anthology along with such esteemed writers. First of all, the books themselves. As Viola Schneider said, I love the slow pace and how the characters and stories unfold. Secondly, your videos really provide food for thought, for example the connection to our modern celebrity culture. Thirdly, your readers' comments are so interesting that I want to enter a discussion with each one of them. Last but not least, through the books, the videos, and the comments, I really slow down. After that I always feel relaxed and energized at the same time. So thank you for that, especially now that I know that it is a "frenzy" for you. See you on Thursday for a "shop with me" video and see you for part 3 of the book club next Monday! I hope you have a wonderful independence day celebration tomorrow!